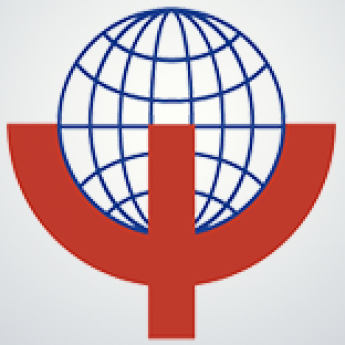 WPA Section on Religion, Spirituality and Psychiatry The World Psychiatric Association (WPA) and the World Health Organization (WHO) have worked hard to assure that comprehensive mental health promotion and care are scientifically based and, at the same time, compassionate and culturally sensitive1,2. In recent decades, there has been increasing public and academic awareness of the relevance of spirituality and religion to health issues. Systematic reviews of the academic literature have identified more than 3,000 empirical studies investigating the relationship between religion/spirituality (R/S) and health3,4. In the field of mental disorders, it has been shown that R/S have significant implications for prevalence (especially depressive and substance use disorders), diagnosis (e.g., differentiation between spiritual experiences and mental disorders), treatment (e.g., help seeking behavior, compliance, mindfulness, complementary therapies), outcomes (e.g., recovering and suicide) and prevention, as well as for quality of life and wellbeing3,4. The WHO has now included R/S as a dimension of quality of life5. Although there is evidence to show that R/S are usually associated with better health outcomes, they may also cause harm (e.g., treatment refusal, intolerance, negative religious coping, etc.). Surveys have shown that R/S values, beliefs and practices remain relevant to most of the world population and that patients would like to have their R/S concerns addressed in healthcare6-8. Psychiatrists need to take into account all factors impacting on mental health. Evidence shows that R/S should be included among these, irrespective of psychiatrists’ spiritual, religious or philosophical orientation. However, few medical schools or specialist curricula provide any formal training for psychiatrists to learn about the evidence available, or how to properly address R/S in research and clinical practice7,9. 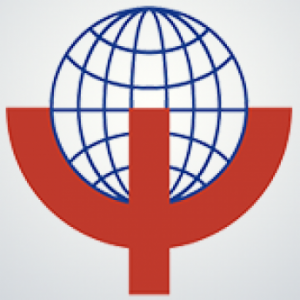 In order to fill this gap, the WPA and several national psychiatric associations (e.g., Brazil, India, South Africa, UK, and USA) have created sections on R/S. WPA has included “religion and spirituality” as a part of the “Core Training Curriculum for Psychiatry”10. A tactful consideration of patients’ religious beliefs and practices as well as their spirituality should routinely be considered and will sometimes be an essential component of psychiatric history taking. There is a need for more research on both religion and spirituality in psychiatry, especially on their clinical applications. These studies should cover a wide diversity of cultural and geographical backgrounds. The approach to religion and spirituality should be person-centered. Psychiatrists should not use their professional position for proselytizing for spiritual or secular worldviews. Psychiatrists should be expected always to respect and be sensitive to the spiritual/religious beliefs and practices of their patients, and of the families and carers of their patients. Psychiatrists, whatever their personal beliefs, should be willing to work with leaders/members of faith communities, chaplains and pastoral workers, and others in the community, in support of the well-being of their patients, and should encourage their multi-disciplinary colleagues to do likewise. Psychiatrists should demonstrate awareness, respect and sensitivity to the important part that spirituality and religion play for many staff and volunteers in forming a vocation to work in the field of mental health care. Psychiatrists should be knowledgeable concerning the potential for both benefit and harm of religious, spiritual and secular worldviews and practices and be willing to share this information in a critical but impartial way with the wider community in support of the promotion of health and well-being. The authors thank all who contributed during the process of developing this position statement, and especially D. Bhugra, R. Cloninger, J. Cox, V. DeMarinis, J.J. LopezIbor (in memoriam), D. Moussaoui, N. Nagy, A. Powell, and H.M. van Praag. This position statement has drawn on some of the text of recommendations already published in the Royal College of Psychiatrists position statement11. 1. Bhugra D. The WPA Action Plan 2014-2017. World Psychiatry 2014; 13:328. 2. Saxena S, Funk M, Chisholm D. WHO’s Mental Health Action Plan 2013-2020: what can psychiatrists do to facilitate its implementation? World Psychiatry 2014; 13:107-9. 3. Koenig H, King D, Carson VB. Handbook of religion and health. 2nd edition. New York: Oxford University Press, 2012. 4. Koenig HG, McCullough ME, Larson DB. Handbook of religion and health. 1 st edition. New York: Oxford University Press, 2001. 5. WHOQOL SRPB Group. A cross-cultural study of spirituality, religion, and personal beliefs as components of quality of life. Social Science and Medicine 62:1486-1497, 2006. 6. Pargament KI, Lomax JW. Understanding and addressing religion among people with mental illness. World Psychiatry. 2013; 12(1):26-32. 7. Moreira-Almeida A, Koenig HG, Lucchetti G. Clinical implications of spirituality to mental health: review of evidence and practical guidelines. Rev Bras Psiquiatr. 2014; 36(2):176-82. 8. Verhagen PJ, Van Praag HM, Lopez-Ibor JJ, Cox J, Moussaoui D. (Eds.) Religion and psychiatry: beyond boundaries. Chichester: John Wiley & Sons, 2010. 9. Cloninger CR. What makes people healthy, happy, and fulfilled in the face of current world problems? Mens Sana Monographs 2013; 11:16-24.